FTVLive FIRST told you back in June that WCHS (Charleston, WV) Jim Barach had gone missing from the station. A couple days later, FTVLive told you that Barach said he was fired from the station. Well, it appears that Barach is not going away quietly. He has filed a lawsuit against Sinclair for age discrimination. Barach filed his complaint in Cabell Circuit Court against the station and Sinclair. The West Virginia Record writes that, in his complaint, Barach says he began working for the defendant companies on July 11, 2005, as the stations’ chief meteorologist. For the first 11 years of his employment, Barach says he received highly positive performance reviews and that his contracts were renewed on a two- and three-year basis. He was given the West Virginia Broadcasters Association’s award for weathercast of the year six times, and he was named the Associated Press’s state Broadcaster of the Year in 2010. But in 2017, Barach says he received his first negative performance review and had his contract renewed for one year instead of the typical two. At the time, Barach was 60 years old. 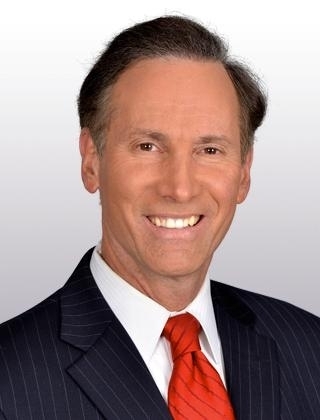 Barach – a 38-year broadcast veteran who worked in Dallas, Orlando, Syracuse and other cities before his 13 years in this market – said he always has been serious about his career. “I’ve dedicated my life to my career,” he said. “In 37 of those years, I had a spotless record – good reviews, no disciplinary actions. But after 37 years and 12 at the station, the station wants people to believe I became a completely unmanageable employee. It’s just ridiculous. “It’s been very difficult for me to deal with. My professionalism has been called into question. And it all had to do, basically, with my age. We have a mountain of evidence. It’s a textbook case of age discrimination. As soon as I reached a certain milestone age, I got a horrific evaluation. I was placed on a work improvement program. I received disparaging emails from my superiors. My leadership was called into question. You name it. They gave me a one-year contract with no raise. Barach seeks compensatory damages – including lost wages and benefits – as well as damages for emotional distress. He also seeks punitive damages, attorney fees, court costs, pre-judgment interest and other relief. Sinclair has not commented on the lawsuit.